Packed with Purpose. A Future with Less Plastic Pollution. 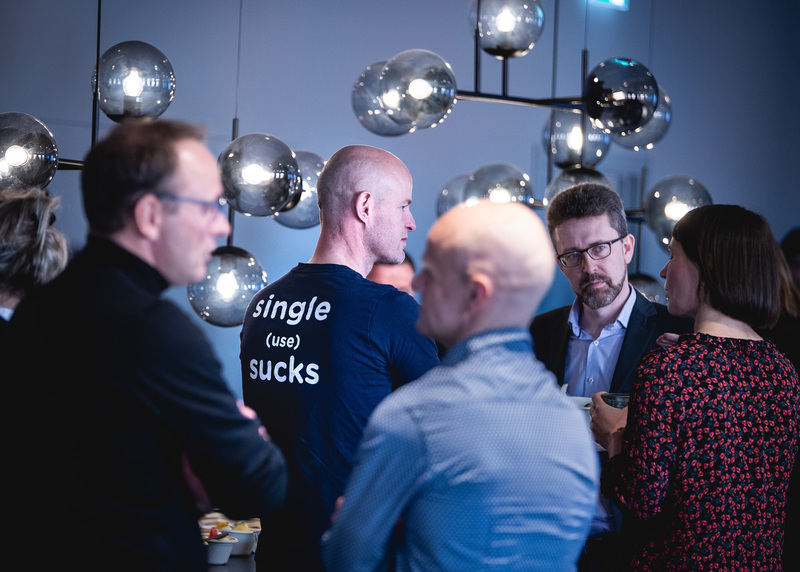 Last Friday, April 5th, we hosted the event Packed with Purpose. A day devoted to the pressing theme of plastics within packaging. 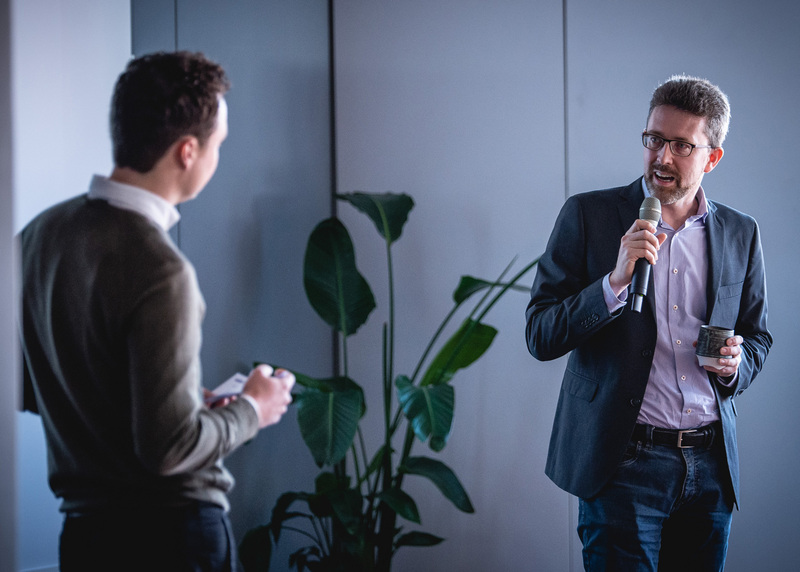 We passed the mic to Danish NGO Plastic Change, start-up True Gum, Denmark’s biggest retailer Coop, and the brewery Carlsberg. Here are four key takeaways for those who couldn’t make it. On average, every Dane produces 777 kg of waste. A year. That makes us the most waste-producing consumers in Europe for the 10th year in a row. More than 50% of the plastic we produce today is still single-used plastic. And in fact, only 13% of our plastic waste is recycled. Because recycling is an issue of great complexity. The recommendation from the Danish environmental organisation Plastic Change is clear: Reduce the use of plastic. Recovering and recycling are simply not enough. But, as the organisation pointed out, sometimes the solution to fighting pollution is to use better plastic to create a more durable packaging that can be reused multiple times. A recurring theme throughout the talks was that companies need to raise expectations on behalf of society. Because consumers aren’t critical enough – yet. 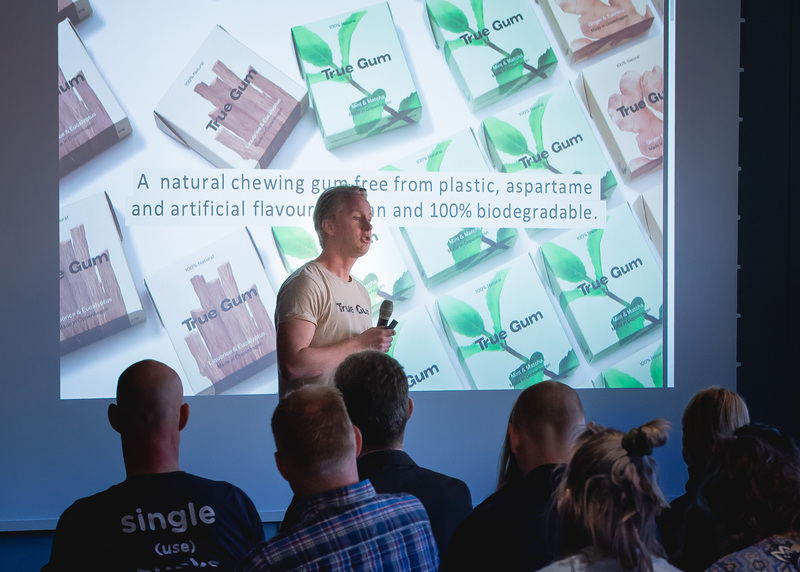 Danish start-up, True Gum, was founded based on the mission to raise expectations. Few consumers are aware that traditional chewing gum contains the same type of plastics that can be found in car tyres, epoxy and plastic bottles. True Gum knows, though. Which is why they have created an all natural, plastic-free alternative. Now they are on a mission to educate consumers and uncover a truth that hopefully makes most of us change our chewing habits. Or make chewing gum producers change theirs. Carlsberg is also trying to change our habits. In 2018, they launched their new, and already iconic, ‘Snap Pack’. Once it’s fully integrated across markets, the company will have reduced its plastic usage by 1,200 tonnes a year. Impressive, but not all consumers are impressed. You do not simply change an icon. It requires education, time and effort to teach your consumers to snap and get them to come along for the ride. Denmark’s largest retail company, Coop, has a history of being critical on behalf of society. Through decades, the company has raised its expectations towards suppliers – specifically within organic produce, animal welfare and sustainability. And it has paid off. 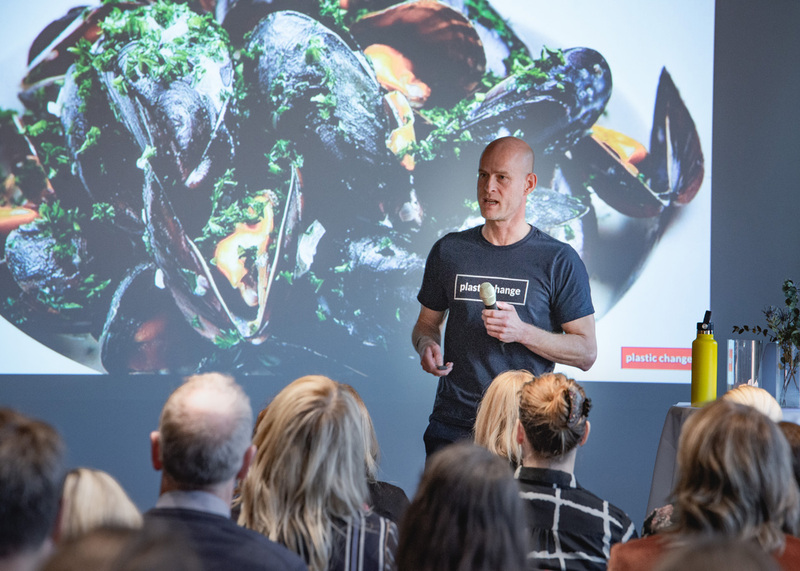 Earlier this month, Coop was elected Denmark’s most sustainable company at the Sustainable Brand Index Awards 2019. Well done, and keep on going. Because when the going gets tough, the tough get going. Coop’s responsibility directs their actions and helps consumer choosing the right thing. Like navigating between food waste and plastic pollution. They strive to make the tough shots so you don’t have to. There are no quick fixes when it comes to solving the plastic problem. So come up with both short and long term solutions: How can you remove plastics, improve production, prolong product lifespan in the short term? And how can you rethink your ingredients, production and packaging in the long run? And – perhaps in collaboration with consumer and competitors – educate your consumers to make more sustainable everyday choices?